Located at Ricaurte’s Printers Center in Bogotá, Dalama runs their business under the slogans “Quality & Speed in Production”, “We Make it Possible”, living the experience of creating and designing with freedom. 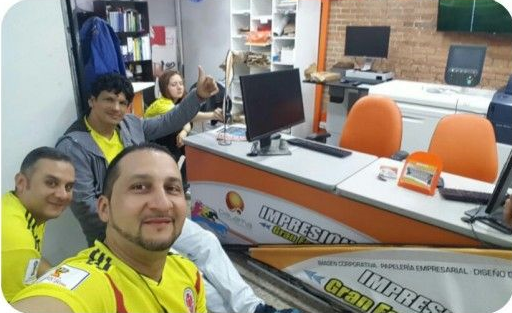 Looking to expand its portfolio, the owner, German Mahecha, decided to include digital printing in his business, and was the first customer who trusted in PBS in Colombia. Dalama acquired a Versant 180 and a D110 sítialo presses to meet the different needs of the local market, printing digital low runs and after 8 months of working with PBS, it is widely purchased on an Epson wide-format printing machine sold by PBS too. Dalama now its looking to growth in 2019 and our hero of color dream of Iridesse … we’ll see!